This modern painting is 140 x 90 cm (55.12 x 35.43 po). 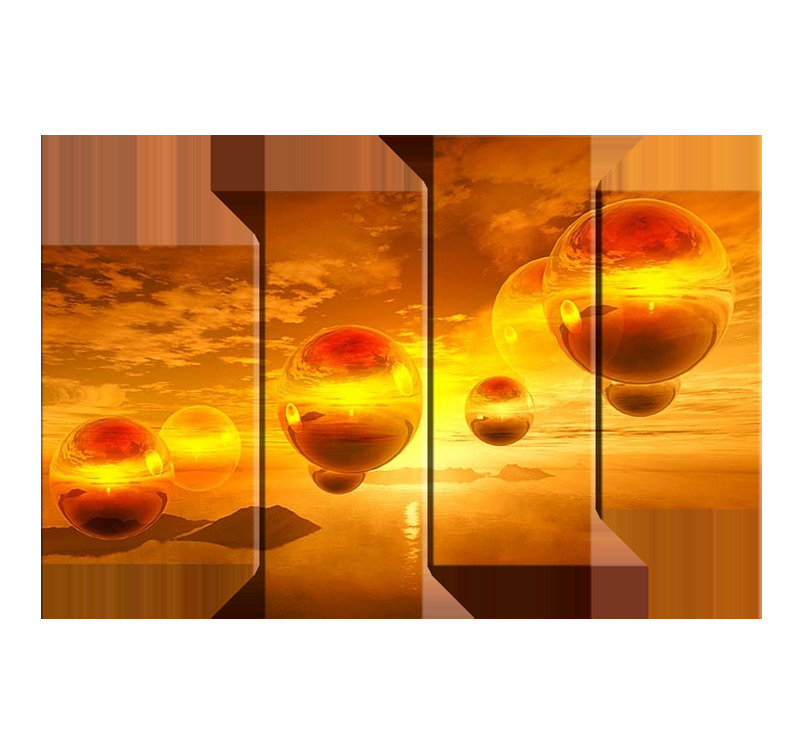 The "Abstract Bubbles" painting canvas, consisting of four asymmetric panels with orange as a dominant color, reveals a magical and fairytale environment, with beautiful sunset shades and a magnificent natural landscape that takes us to another universe. This painting canvas makes us travel to another world, with a sense of lightness and well-being. This modern artwork will easily fit into your home decoration, bringing a modern touch. The modern canvas from this category are painted on cotton canvas and stretched over a frame made of Canadian pine wood, ready to hang. 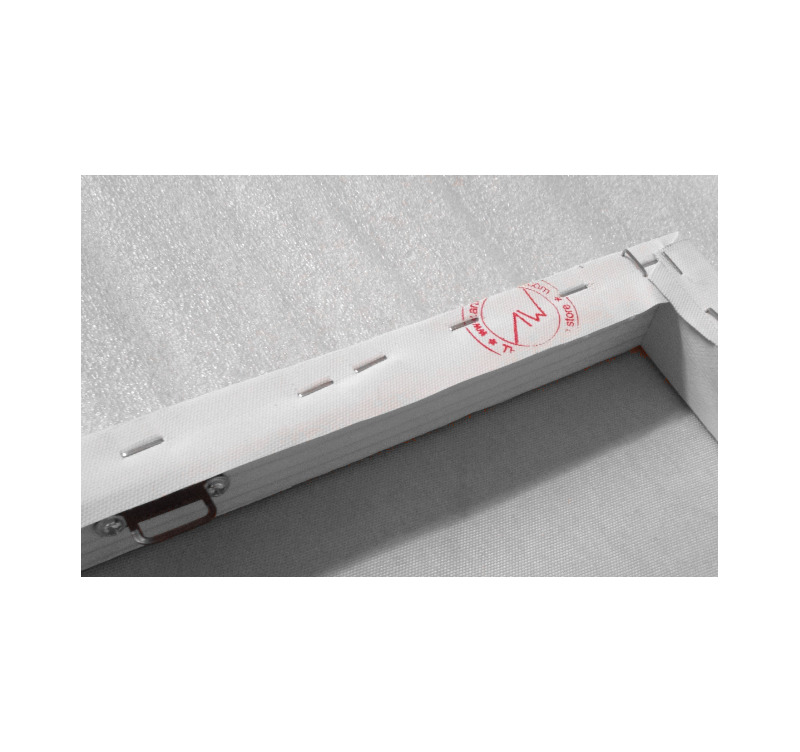 The hand-painted canvases are delivered with cardboard corners and hanging hooks. 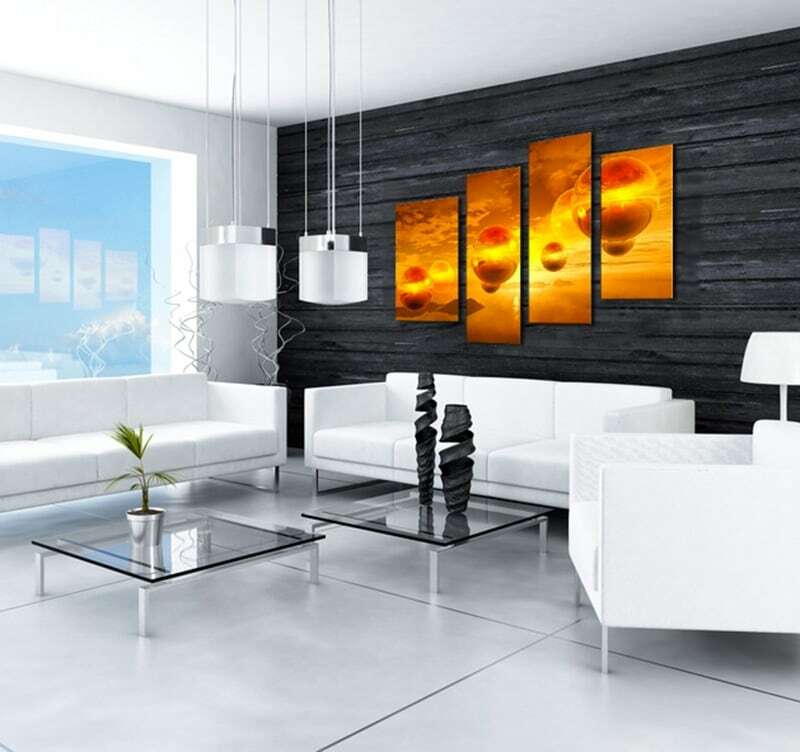 All the canvases falling into the paintings category are original artworks painted by our artists, they are then treated to withstand UV and moisture to ensure optimal rendering and lifetime.